If you hold your breath every time a letter arrives from your bank and pray it’s not telling you your credit-card interest rate is about to skyrocket, don’t exhale just because Connecticut Sen. Christopher Dodd’s bill that ratchets down on banks behaving badly passed a committee vote today. Don’t breathe out either when New York Rep. Carolyn Maloney’s similar bill clears its House committee, even though the full House overwhelmingly approved the legislation last year. This one’s going to get bloody yet. You wouldn’t expect big banks to give up their divine rights to gouge us without a fuss, would you? 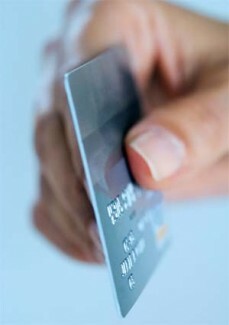 Let’s see, you have a $10,000 balance on your credit card – that was the average per household with credit cards last year, according to cardtrak.com – and your bank is giving you a month and a half to pay it all or see your interest rate soar. How pro-consumer of them. The best rationalization for opposing this year’s bills, though, comes from bankers association Senior Vice President Kenneth Clayton, who told bloomberg.com that the changes would lead to less credit available and at higher prices. That’s pure Oscar Mayer. Lowered lines of credit and higher interest are happening anyway, which is one reason Dodd is backing the bill. Well, that and the fact that he’s facing a tough re-election campaign next year and allegations that he’s too cozy with the banking industry. And while less access to credit could hurt families on the edge in the short term – and, again, it’s already happening anyway – in the long run, weaning consumers from “buy now, pay out the nose later” is a good thing. Good for most people, at least. Bad for the banking industry, though, if it can’t make card holders pay for the housing crisis while it saves bailout money for a rainy day or invests it overseas.